Renowned as one of Prince Edward Island’s most beautiful locales, Blooming Point provides both stunning seaside vistas and natural countryside scenery. Only a 20-minute drive to downtown Charlottetown, the province’s capital city, Blooming Point is close to all amenities and activities. 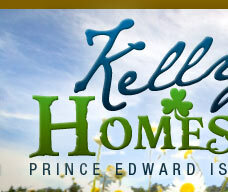 Whether you’re looking for festivals, sporting events, arts and cultural experiences (The Confederation Centre of the Arts), outdoor activities (Trailside Inn, Café & Adventures), local cuisine (The MacMillan Dining Room, Dalvay), or you’d prefer quiet and relaxation or a day at the beach, Kelly’s Homestead gives you access to it all, regardless of season. 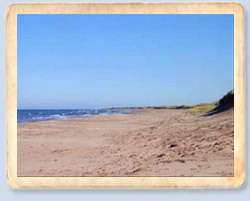 A 5-minute drive takes you to beautiful, uncrowded Blooming Point Beach where you can swim in the ocean, relax on the sand, and catch a glimpse of PEI’s Piping Plovers. Drive 10 minutes from Kelly’s Homestead, and you’ll find yourself at a section of the Island’s beautiful Confederation Trail. This trail, spanning the entire province, follows the path of our former railway system, now the site of hiking, biking, and walking amongst some of PEI’s most impressive scenery. 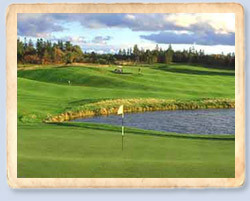 If you’re a golf fan, the Links at Crowbush Cove are only a 15-minute drive away. This premiere course is rated Top 10 in North America by Golf Digest. Charlottetown, the Island’s capital city, is located 20 minutes away by car. Not only PEI’s destination for theatre, restaurants, and shopping, Charlottetown is also the Birthplace of Confederation, the site of the meeting that led to the creation of Canada as we know it today. After a 25-minute car ride along scenic countryside, you’ll find yourself at one of the Island’s most celebrated National Parks, Greenwich. 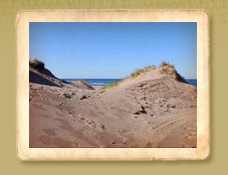 The park is home to exquisite dunes and white sand beaches, as well as an entertaining Interpretation Centre. 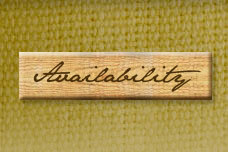 If you’re looking for more golf, Brudenell and Dundarave golf courses are also only a 25-minute drive away. For more information, visit: www.tourismpei.com/pei-things-to-do.